Aspirus Arise is a joint venture between Aspirus and WPS Health Solutions. It was formed in 2016 to offer new, innovative and cost-effective health insurance products within Aspirus’ service area. This local collaboration between a health insurer and a health care provider is the future of health care in Wisconsin. Whether you’re an individual consumer or a business owner with hundreds of employees, you can enjoy the benefits of this cooperation. 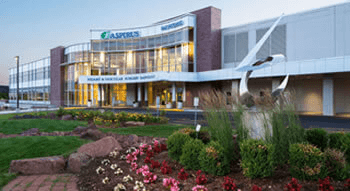 WPS Health Plan, Inc. (d/b/a “Arise Health Plan”), is based in De Pere, Wisconsin. It is dedicated to innovative approaches to health insurance, transparent interactions with customers, and making insurance easy to buy, own, and use. Arise offers comprehensive and affordable health plan options and personalized service to businesses and individuals.